Historic Falmouth (Stafford County, Virginia) Interpretive Master Plan. JVA in partnership with Lynn Knight of Management Analysis, Inc. (Virginia) were award the contract to develop the Interpretive Master Plan and Heritage Tourism Analysis/Potential for the historic community of Falmouth, Virginia. Many of Falmouth's early buildings remain standing, including the Cotton Warehouse; Duff Green Warehouse; Cambridge Inn, Temperance Tavern; Barnes House; Magistrate's Office (right photo); Counting House; Basil Gordon House; Moncure Conway House (boyhood home of the South's most prominent abolitionist- middle photo); and Shelton Cottage. 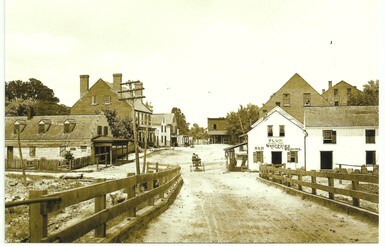 For more information about the history of Falmouth (and Stafford County) click on this link: http://www.staffordcountyhistoricalsociety.org/places. This project began in 2012 and would be completed in 2013. Snowdonia National Park Training Center, Wales, UK. 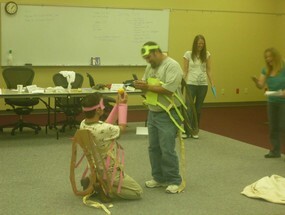 JV had the pleasure of teaching a 4-day Interpretive Master Planning Course at the training center - June, 2012. Besides participants from the UK, we were pleased to welcome participants from Italy, Romania, Spain, and Sweden. Pictures from the course are posted at my Pintrest site: http://pinterest.com/jvainterp. (you may have to cut and paste this link). 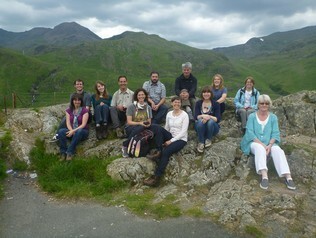 Our group photo is provided below. 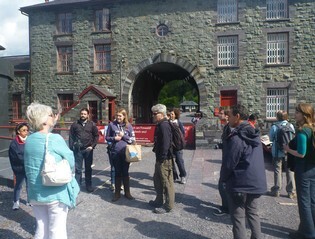 Also a pic from our field trip to the Welsh National Slate Museum. Our next courses will be in May 2014 and September 2014. 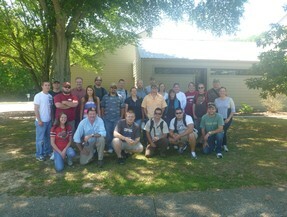 US Army Corps of Engineers Interpretive Services Course, June, 2012, Huntsville, Alabama. The course covered the basics of interpretive services theory, planning and practice. Participants developed draft interpretive panels and exhibits, as well as having to plan and present a live interpretive program, of their choice, illustrating the use of interpretation as a management tool, and based on a theme, objectives, and Tilden's principles. One of the group programs, on Mayfly emergence issues at parks, was really good and luckily I could video it. The YouTube link is provided. Pictures from the course are posted at my Pintrest site: http://pinterest.com/jvainterp. (You may have to cut and paste this link). Old Baldy Foundation, Old Baldy Lighthouse Interpretive Master Plan/Exhibit Concept Design Plan. 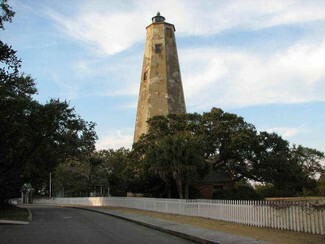 JVA with Kaser Design, was awarded the contract to develop the Interpretive Master Plan and new museum exhibit concept designs for the Old Baldy Lighthouse, located on Bald Head Island, North Carolina. The project will run thru 2014. You can visit this site at: http://www.oldbaldy.org/HOME/tabid/36/Default.aspx. 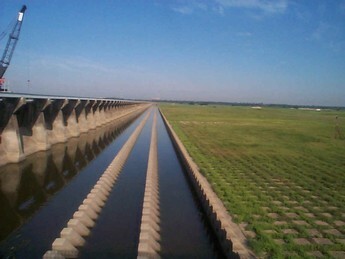 US Army Corps of Engineers and MWH Americas, Inc. Atchafalaya Basin Project - Basin Floodway Interpretive Master Plan. JVA subcontracted to MWH Americas, Inc., to develop the Interpretive Master Plan for the COE Atchafalaya Basin Project, in New Orleans, LA. 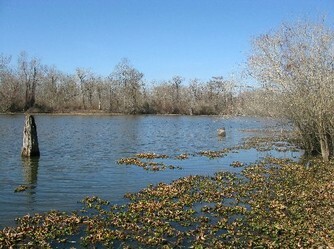 The Basin is one of the nation's last great river swamps. You can see the site brochure at http://www.mvn.usace.army.mil/pao/bro/AtchafalayaBasinProject.pdf. This project began in January, 2011 and run through September 2012 Here are some general photos from this incredible resource. 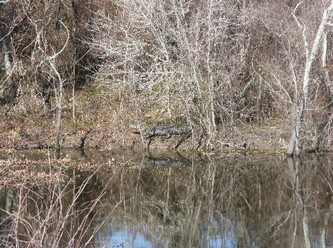 See if you can spot the alligator! US Army Corps of Engineers - Interpretive Training. JVA was awarded a new 5-year interpretive services training contract for teaching two 3-day "Interpretive Services" courses each year for the COE at their Huntsville, AL training center. Our 2012 courses are set for January and June, 2012. JVA has been providing this interpretive training course for the Corps of Engineers for the past 20 years, and is pleased to be able to continue providing this valuable training for the COE. 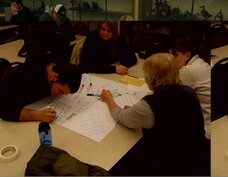 Participants in the January 2011 Interpretive Services course - one team (on right) working on the design for a draft interpretive panel - another team (left) working on an interpretive trail planning exercise at our field trip site - Wheeler National Wildlife Refuge. 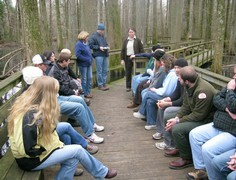 We had 25 participants for the January2010 course from Army Corps of Engineer Project sites from around the US. 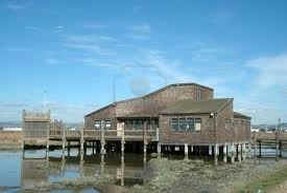 Hayward Shoreline Interpretive Center, Hayward Area Recreation and Park District, Hayward, California. JVA assisted the interpretive staff in developing an interpretive exhibit plan for new Interpretive Center Exhibits, and exhibit development recommendations for exterior interpretive signage. You can visit this site at: www.haywardrec.org. Site photo below.